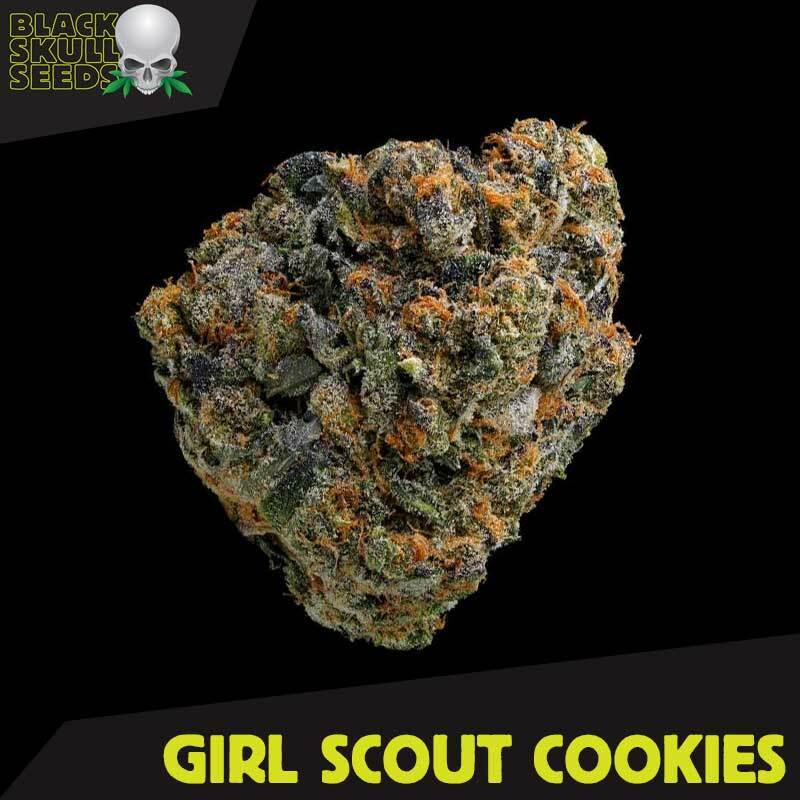 Girls Scout Cookies feminized seeds are now available at dope-seeds.com at the cheapest price online. Girl Scout Cookies is one of the most popular and potent strains available right now, reaching THC levels of up to 28%. This variety is an Indica dominant hybrid (40:60 sativa/indica ratio) but provides the best aspects of sativa and indica: a powerful, euphoric happy high along with lethargy and a strong body effect. Girls scout Cookies has a sweet and earthy taste and aroma providing a long-lasting high which is very effective in the treatment of anxiety, depression and for those wishing to enhance their appetite. Girl scout to cookies is an easy to grow strain that produces very dense buds that are easy to trim. This strain really is an all-round winner. Girls scout cookies is a fairly stocky cannabis strain which should not get above 1.2m (4 feet indoors). Yields for this strains are good with 450g per metre squared very realistic. Blackskull’s version of Girl scout cookies is the lowest priced incarnation of this strain but the quality is still of the highest order. Indoors: 90 – 120 cm; Outdoors: 220 cm.